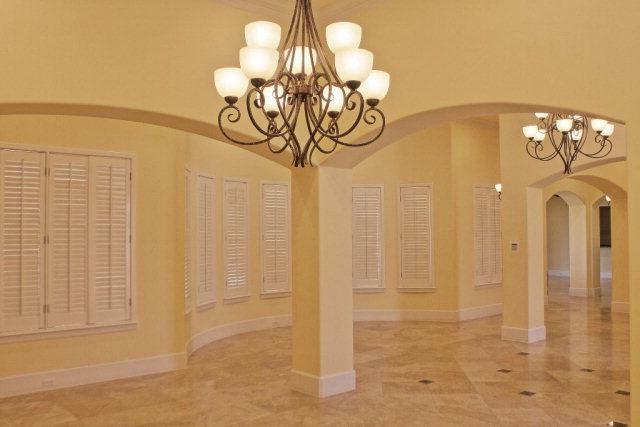 Exquisite and elegant, this custom built home has beautiful soothing colors, light fixtures and granite counter tops, all tile floors throughout the house. Gourmet kitchen with lots of storage, family room has beautiful built ins, Media room with an entertainment center that conveys with the house. This is a stunning 5th bedroom/5 1/2 bath/3 Car Garage with an office and Laundry room, Storage room/Workshop inside garage, theater room and bar. Spacious Rooms with soaring ceilings, formal living room and dinning rooms. Large covered patio and a gorgeous swimming pool, perfect for spring break and those warm summer days. Extra parking for RV, Boat and vehicles. Call your Realtor for a showing.